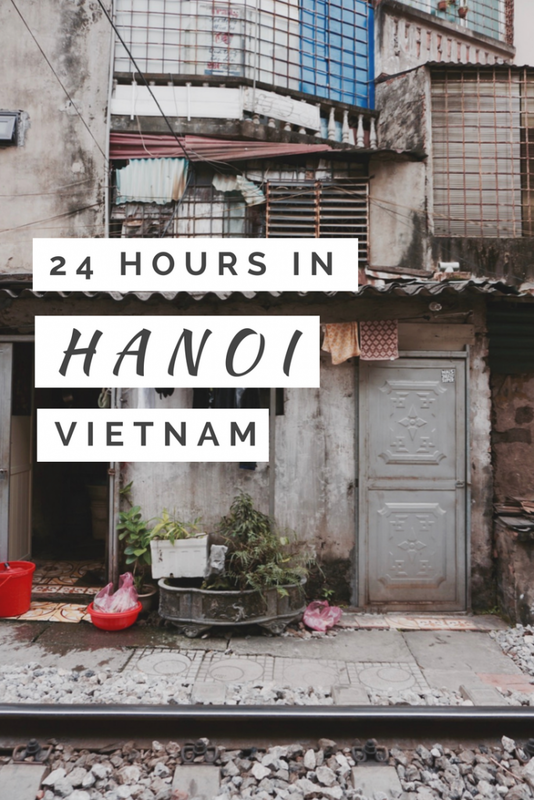 So you’ve only got 24 hours in Hanoi? Read on to find out some of the must-do things while you’re in this crazy city! 24 hours in Hanoi.. let’s make them count! 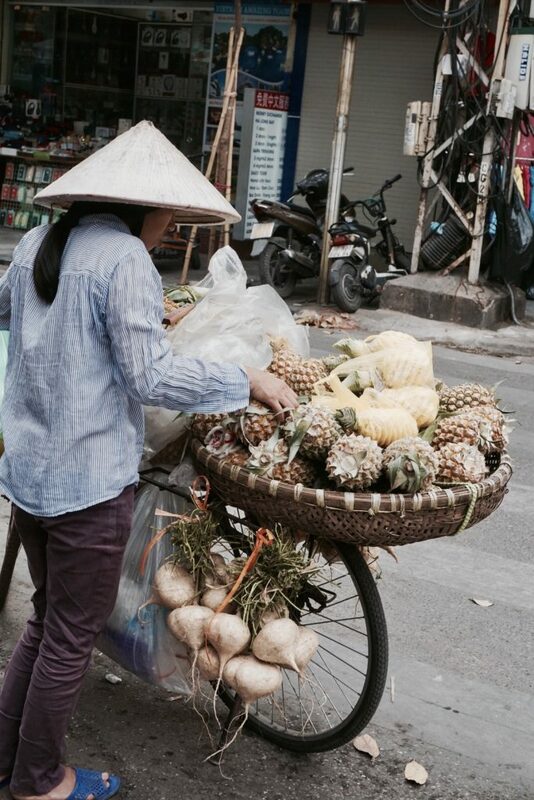 There is something about Hanoi that captured my heart from the first time that I visited. 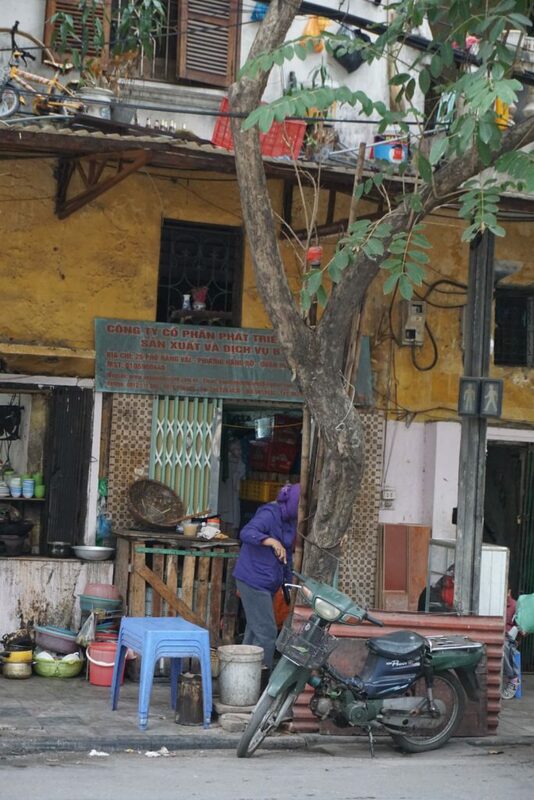 Hanoi seems to possess a sense of organized chaos. If you’ve ever stood at an intersection here then you might understand the feeling that I’m trying to describe. There are hundreds of bikes, cars, and buses and yet without any real direction they somehow manage to ride (relatively) harmoniously. Not going to lie, I’ve stood at an intersection for at least 10 minutes before because I was too nervous to cross myself haha. 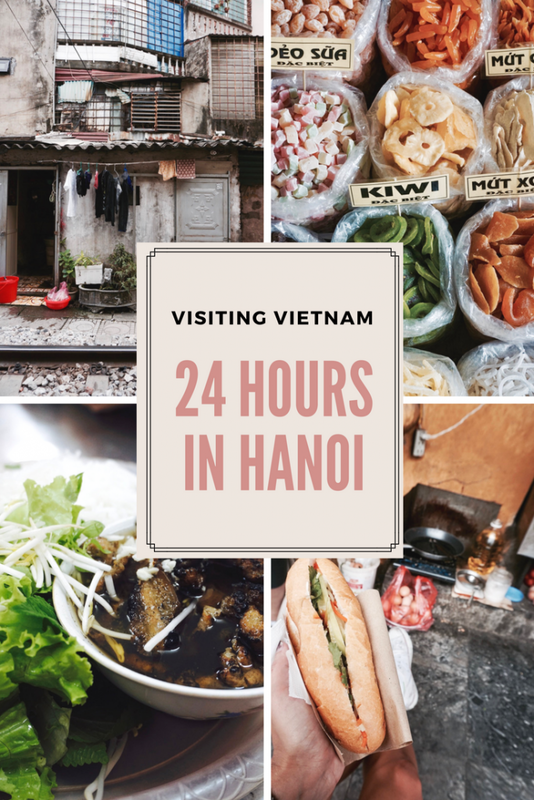 If you only have 24 hours in Hanoi there are a few stops and activities that you absolutely have to experience in order to get a good first taste of the city! 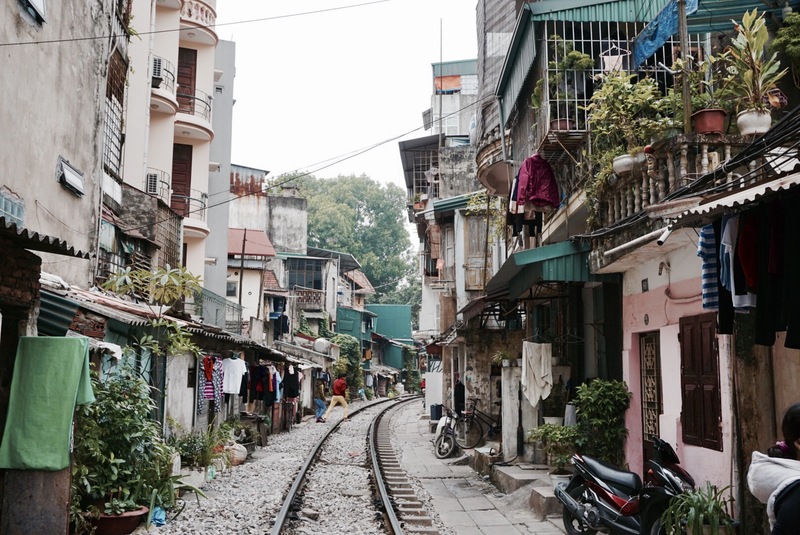 Visiting the Train Street is probably my favorite thing to do in Hanoi. Where else can you see a train rattling through a a residential road. 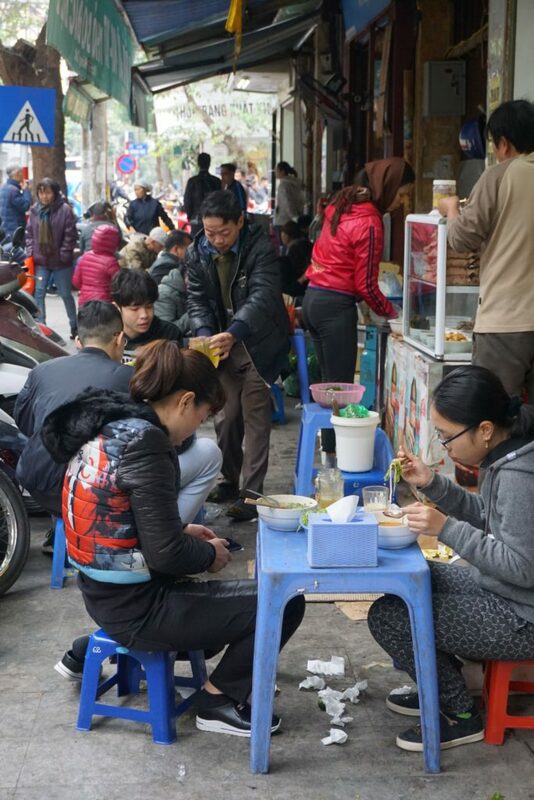 Wander up and down the tracks or grab a cup of local coffee to get a glimpse of family life in Hanoi (but watch out for the train)! At any given hour of the day you can find older men sitting on the side of the road drinking a beer. 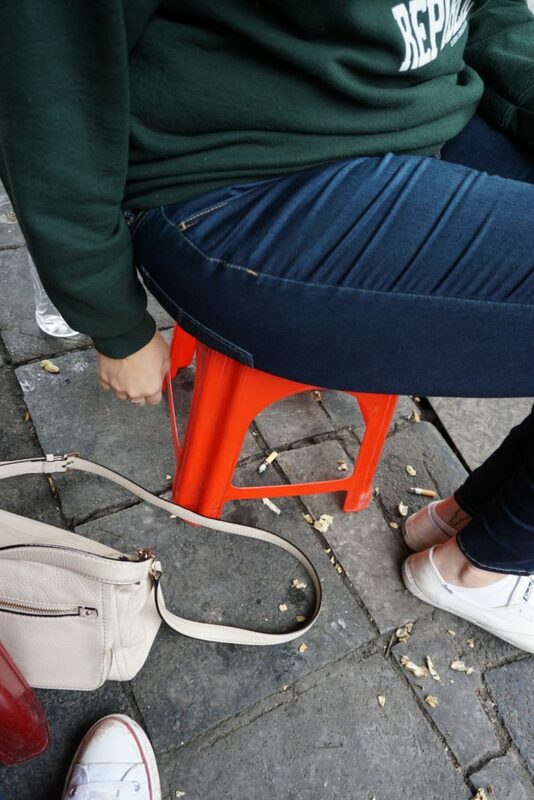 (Very) small plastic chairs and tables are set up to enjoy your freshly brewed glass. 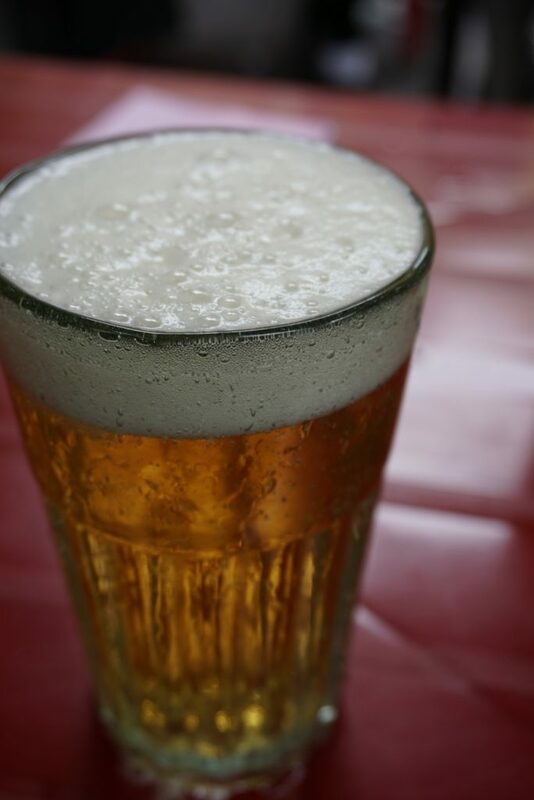 A typical glass sells for about $0.25 USD, so no breaking the bank on this one. 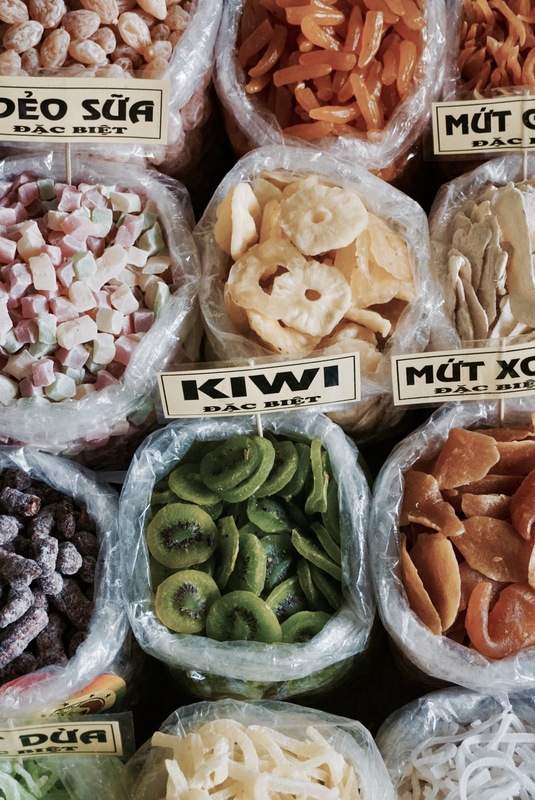 This massive market is a must-see if you only have 24 hours in Hanoi. I swear you can buy anything at this indoor/outdoor market arena. 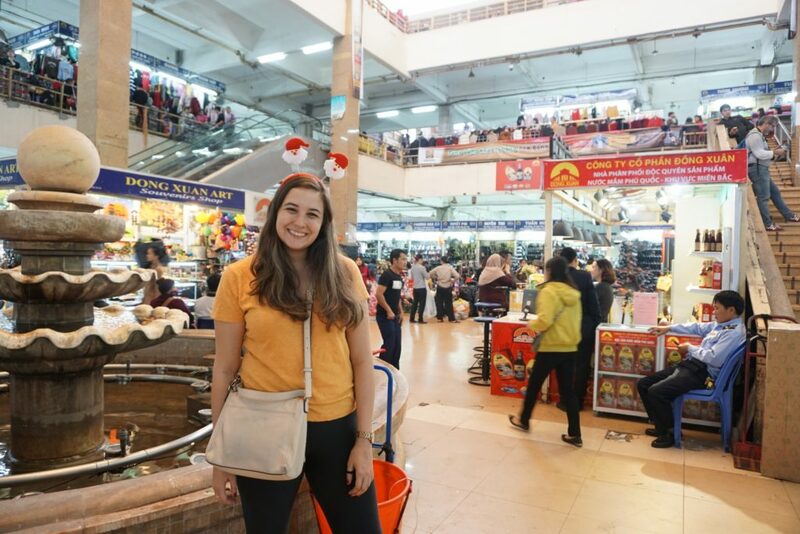 We saw everything from dried fruit and livestock to underwear and Santa costumes. Definitely worth a browse! 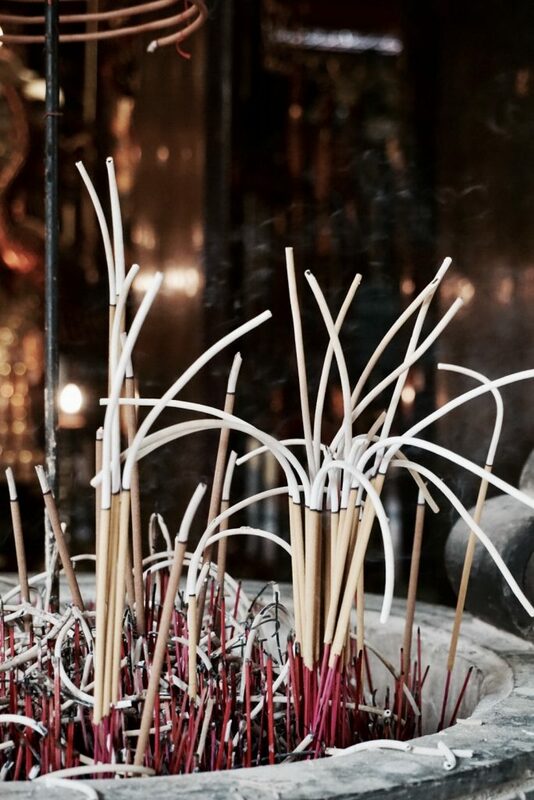 This central temple is definitely worth a stop on your Hanoi walking tour! 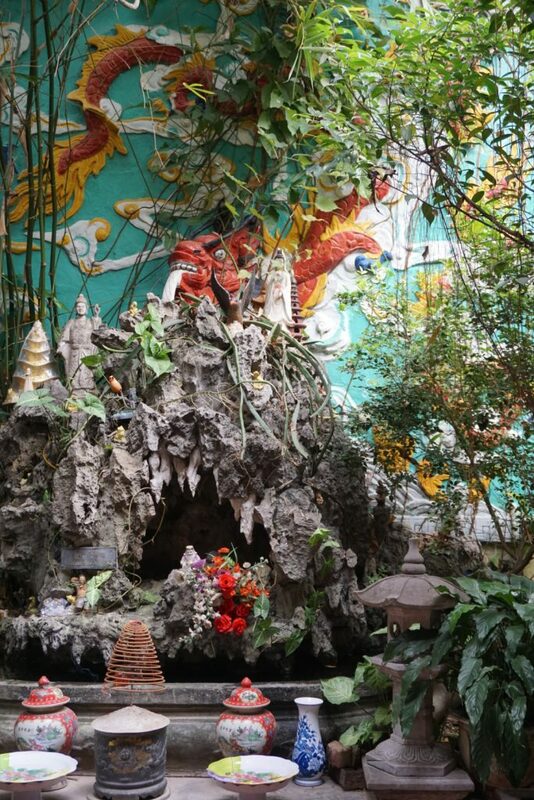 The temple is small, centrally located, and has no entrance fee. Pop in quickly and have a look around. 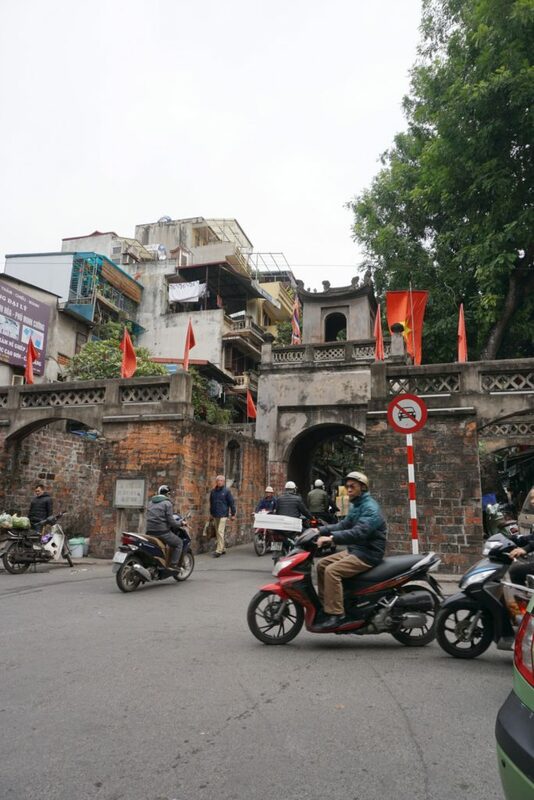 This gate is located in the North East corner of Hanoi’s Old Quarter. It was originally built in the 1700s and was later renovated in the 1800s. 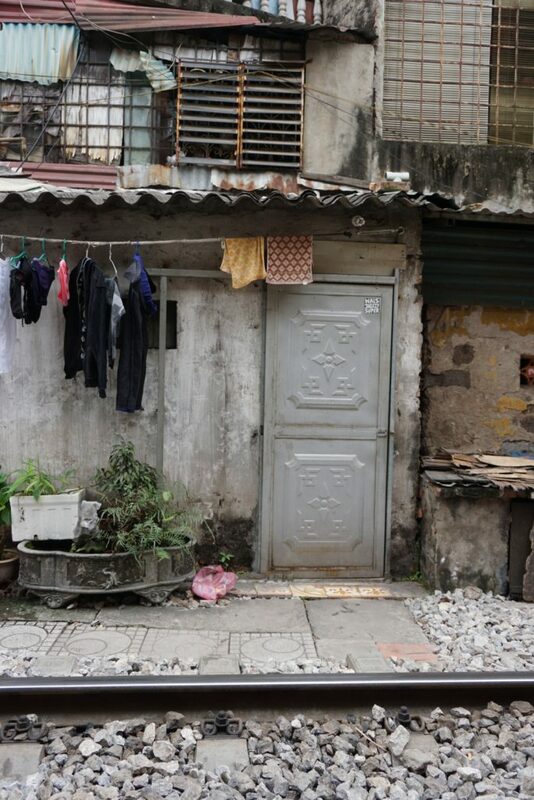 A beautiful piece of Hanoi’s history and the perfect place to snap a few quick shots. I don’t even eat pork usually and this dish is truly magical! There was so much flavor and the meat was cooked to perfection! 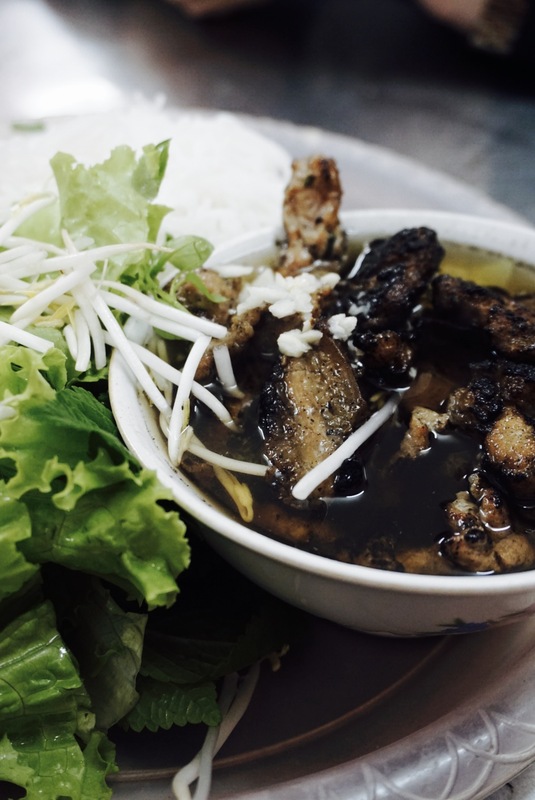 With only 24 hours in Hanoi I absolutely would NOT miss this amazing, local spot. 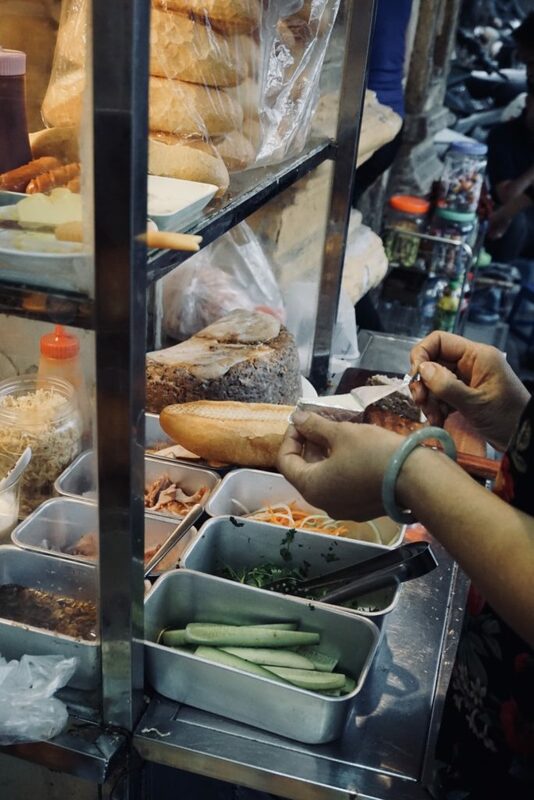 Throughout my time in Hanoi I was constantly on the search for the best Bahn Mi in the city. 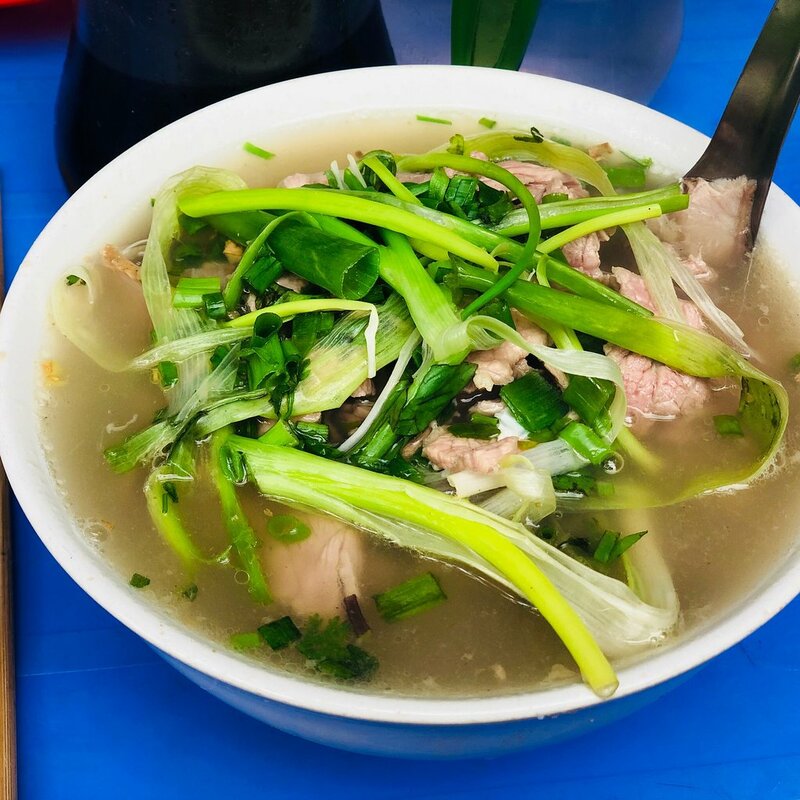 Well if you only have 24 hours in Hanoi then this is your spot! 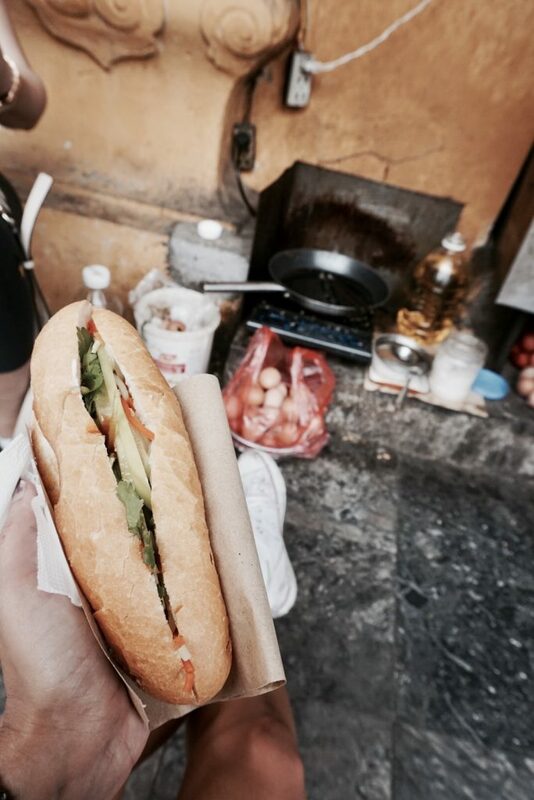 Cooked up right on the side of the road, these Bahn Mi are both cheap and delicious! I think I ate 3 of them in the course of 24 hours once… no regrets! I stumbled upon this local pho spot after an afternoon at the Vietnamese Women’s Museum and was pleasantly surprised! Located just around the corner, this is a perfect post-museum stop! 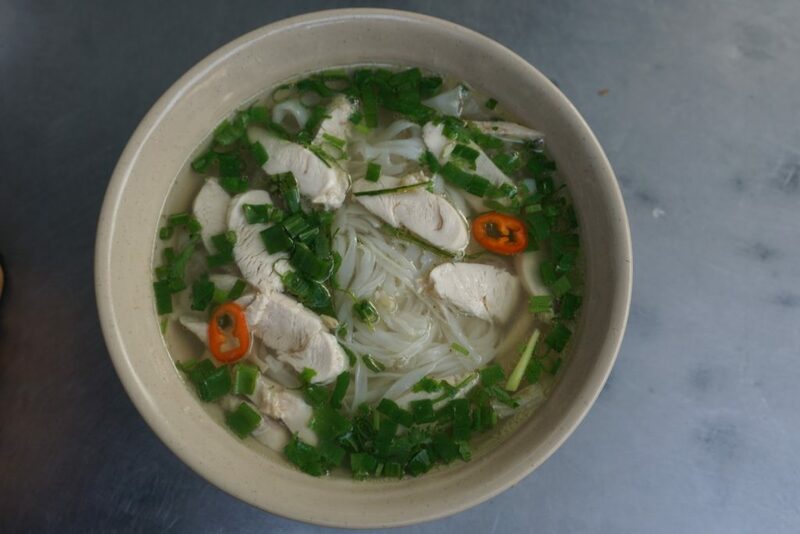 The pho is cheap, simple, and delicious! 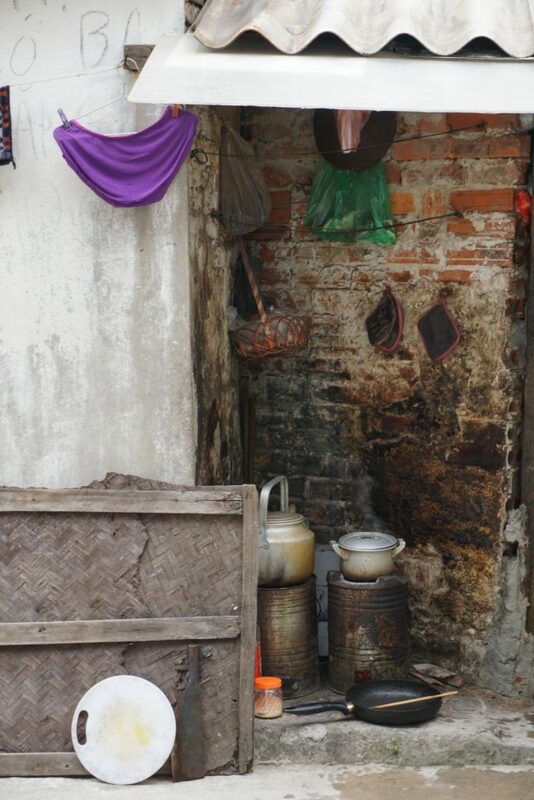 Heading to Hoi An next? Make sure to check out my post on this amazing city here! So I admittedly didn’t get a chance to eat here because the lines were insane! However, this pho spot has been recommended to me so many times that I felt the need to add it on here. Give it a try and let me know in the comments below what you think! 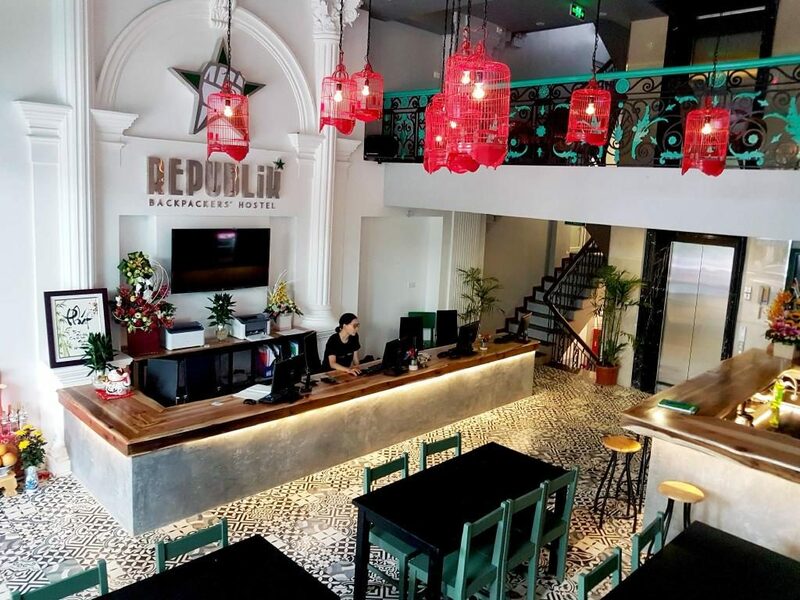 This hostel’s is one of my favorites in Vietnam! The beds come with a personal fan, outlet, light, and privacy curtain, which allow for a great night of sleep. The hostel is social without being a rowdy party hostel, which is great if you’re actually trying to get some sleep. One of favorite hostel perks is the 10 minutes of free beer at the start of every hour in the evening! 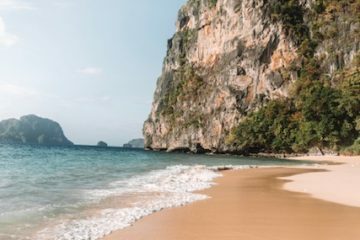 Looking for other places to stay in Vietnam? 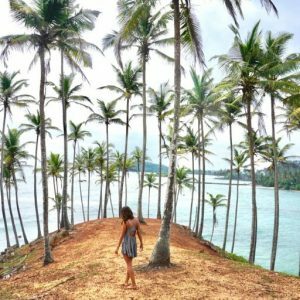 Check out my favorite hostel in Da Lat here! 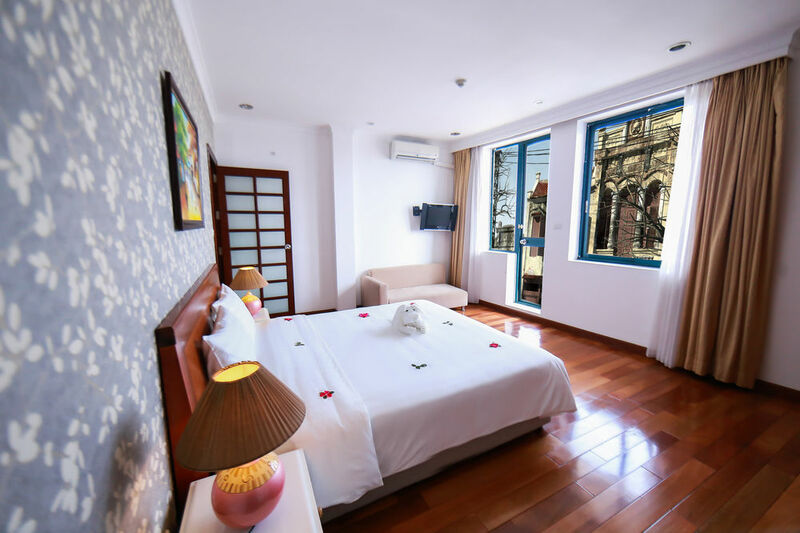 My friend and I booked a night here when you arrived in Hanoi late. The private rooms are basic but come with all of the necessary amenities for a pleasant night. Rooms start at $25/night USD and include an excellent breakfast buffet. 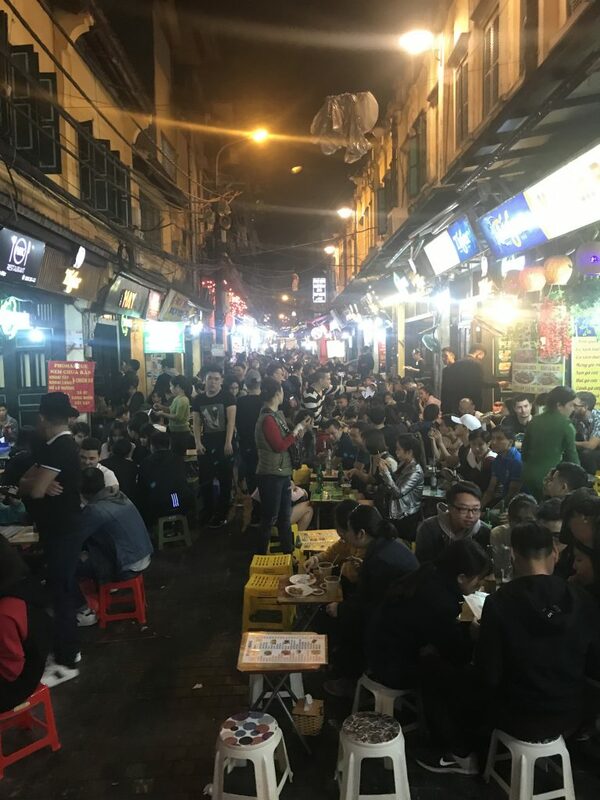 Like what you read about 24 hours in Hanoi? Why not Pin it for later?